share information relevant to their care without concern for how that information will be received. Changes (big and small) can go a long way in communicating to LGBT patients and their families that the organization welcomes the opportunity to care for them. We hope this Guide is a helpful resource to you as you lead and manage efforts to provide welcoming, inclusive, and affirming care and services to LGBT people—as well as all populations—in your community. Studies show that lesbian, gay, bisexual, transgender and (LGBT) populations, in addition to having the same basic health needs as the general population, experience health disparities and barriers related to sexual orientation* and/or gender identity or expression. Many avoid or delay care or receive inappropriate or inferior care because of perceived or real homophobia, biphobia, transphobia, and discrimination by health care providers and institutions. 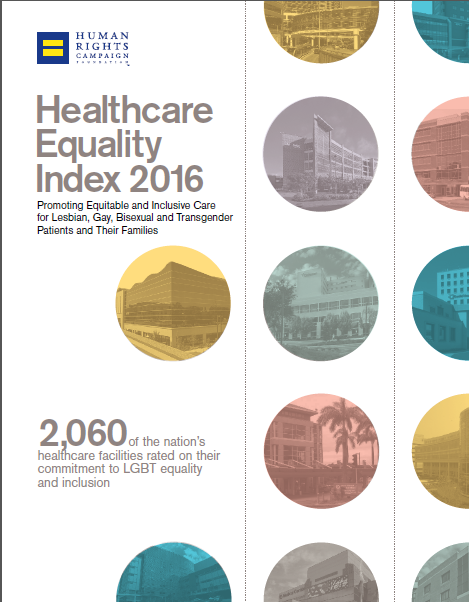 Health care providers can take positive steps to promote the health of their LGBT patients by examining their practices, offices, policies and staff training for ways to improve access to quality health care for LGBT people. over 1.5 million supporters. Consumers can easily search our interactive map to see how facilities near them rate — giving patients the ability to choose where they would like to receive care in their time of need.